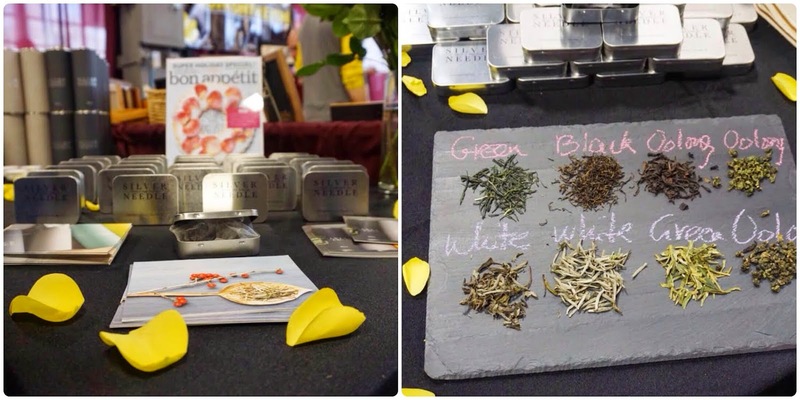 The NY Coffee & Tea festival is always a fun place to sample teas, meet tea folks, and explore new companies. I met up with my friend Rit, who was a great sport and we fought through the crowds together. I spoke with new and familiar faces during the festival, and sampled tasty teas. This year the venue was moved to Greenpoint, Brooklyn. I was hopeful this would mean a bigger space and less crowds. The new venue was definitely brighter with huge windows letting in lots of natural light. Unfortunately, the size was still an issue. Rit and I arrived in the middle of the"VIP" only admission, but it was still chaotic with the line to enter snaking down the block. The new space just wasn't big enough, and by the early afternoon the crush of the crowd was exhausting. But still, we had a great time and sampled loads of tea. Best Overall Feel: I've been following Silver Needle through social media and enjoyed the opportunity to speak briefly with Lucy the founder. The company focuses on carefully curated single estate teas. We chatted a bit about her travels and how she discovered the teas she offers. I adore her sleek, sophisticated packaging as well. We tasted the Golden Beautiful Eyebrow (Jin Jun Mei) black tea which was delicious and quite memorable. The design of the booth and the flavor of the tea made a lasting impression. Their teas change seasonally, and I look forward to what they'll offer next. Best Personality: My favorite personality of the day was Sammy from Everlasting Teas. He was an oasis of calm amid the frenzy of the caffeinated crowd. He looked like he was having a better time than anyone else. We tasted the 'Experimental Black' tea and I was struck by flavors I hadn't experienced in black tea before. Sammy described the tea as 'morning mist and yellow cake'. I couldn't believe it, but those flavors were really there. I can't describe the 'morning mist' but I could visualize it perfectly. This is a tea company I am not very familiar with and I look forward to learning more. 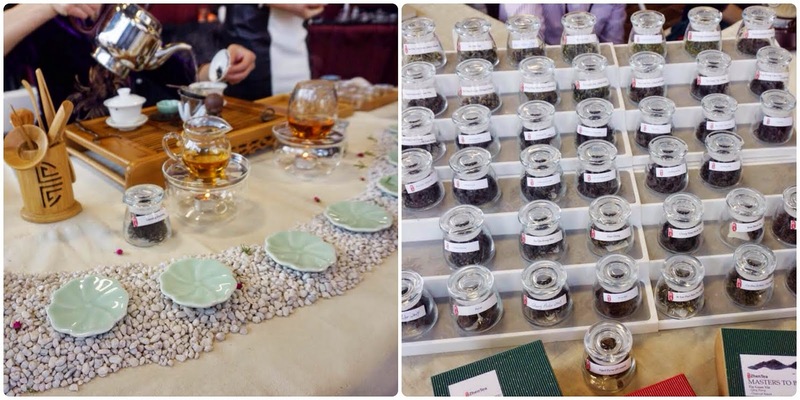 Best Display: Zhen Tea had a eye catching booth, with a lovely tea table set up to brew samples in the gongfu style. This booth was a calm respite from the stifling crowd. The women brewing tea were relaxed and focused. After a few sips I felt immediately better. Zhen specializes in Chinese teas, and the oolong I tasted was very good. They also had a very tempting selection of teaware. If I didn't have to walk around for awhile I probably would have taken home a new gaiwan. Coolest vendor: I always enjoy seeing the Andrews & Dunham guys. They have an air of fun, and rock n' roll, and of course offer good tea. They were chatty with everyone and they even had fun with the occasional children that happened to be brought along. I love their artist-designed tins and the strong, flavorful blends. I'm sipping on the Red-Tailed Hawk blend as I type this, a review will be coming soon. Best Chai: There were quite a few masala chai vendors and Dona Chai is my favorite in terms of taste and design. I was able to chat with co-founder Amy. It was nice to talk in person after corresponding via email for awhile. For me, Dona Chai is a perfect mix of spice, sweet, and tea. It's easily prepared at home if you don't have a cafe nearby that serves it. 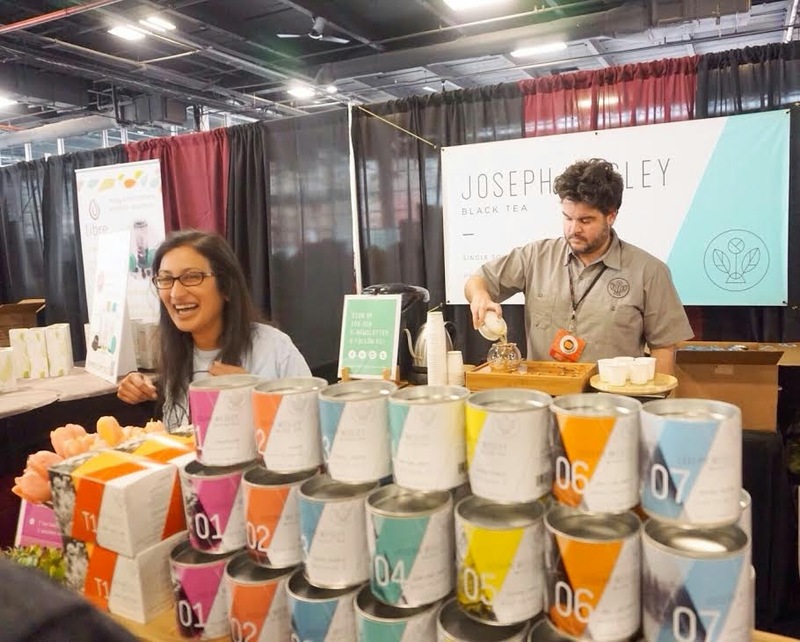 Best Overall: Combine great tea, good design, freshly brewed tea and friendly faces and you get the Joseph Wesley Tea booth. I've tried many of the teas they offer, and they are all great. I also took a black tea seminar with founder Joseph Uhl, which was informative and delicious. Joe talked about black tea history, growing, processing, chemistry and tasting. He reminded us all that when we are tasting something other than the 5 main tastes (sweet, sour, salty, bitter, umami) it is actually created through smell, which develops our connection to the tea. He also pointed out that caffeine has no relation to the type of tea you are drinking (unless of course it's a decaf tea). He cited an article in the 2008 Oxford Journal of Analytical Toxicology to back this up. Read it when you have a moment. We also tasted a super expensive Jin Jun Mei that was out of this world good. I saw tea friends Jo Johnson and Nicole Martin which was of course a delight. I also quickly met Martin from Little Red Cup Tea Co. who was walking the floor. We were going to do an interview, but it was just too chaotic. It was fun to say hello in person though. 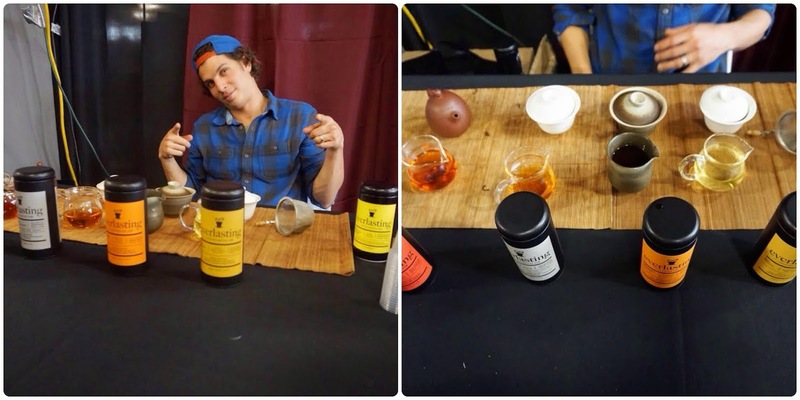 It looked like the festival-goers were having a great time sampling and learning more about coffee and tea. From my perspective is a good place to learn about multiple tea companies all under one roof and connect with new and old tea friends, but it is a difficult room to navigate with overheating and crowds. I look forward to seeing how the festival will grow and change in the future.